Sapphire introduced the Radeon HD 7970 OC Dual-X graphics card. It's equipped with a dual-fan cooling solution, the card offers a 950MHz core clockspeed and 3072MB GDDR5 memory with a frequency of 5700MHz. A dual-BIOS switch allows you to select a higher performance setting of 1GHz for the core and 5800MHz for the memory. 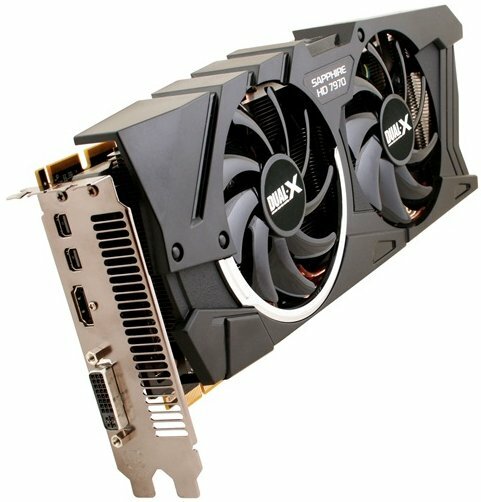 SAPPHIRE Technology has just release a new factory overclocked version of its high end graphics card based on the highly acclaimed graphics GCN (Graphics Core Next) architecture from AMD. The SAPPHIRE HD 7970 OC is shipping now and will be available through SAPPHIRE’s established etail and retail partners.